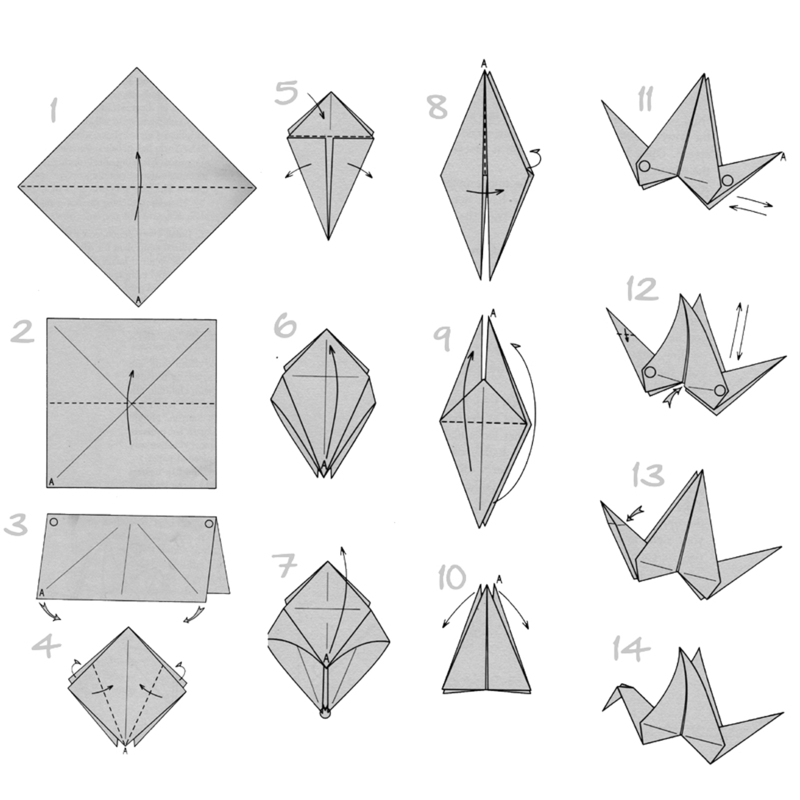 Doodlecraft: Origami Flapping Paper Crane Mobile! Origami Flapping Paper Crane Mobile! If you didn't check out yesterday's post about the Origami Favor Box, check it out! Growing up my dad always made the origami flapping crane for us kids. I learned how to fold many things...but I couldn't remember the crane. I decided to teach my kids how to make one, and thus learn myself. Here's the step by step we found...sorry, I don't have a source. I used double sided SQUARE paper for ease of following the pictures. Pink on one side...green on the other! Fold it in half 4 ways...2 long ways, 2 diagonal. This was the hardest part for my 10 and 9 year olds. Has a slit in the center. And it will look like this. My kids said it looked like legs. Fold up the flaps away from the legs so all the points meet. Then gently pull the "legs" out...and crease where it looks good. Bend a crook in the head. enough to remember how to make them! And I made each of my kids make 5. And then hung them on dowels! I hung them on a vent, so they all fly gently when the air conditioner is on! Not perfect, but so fun!